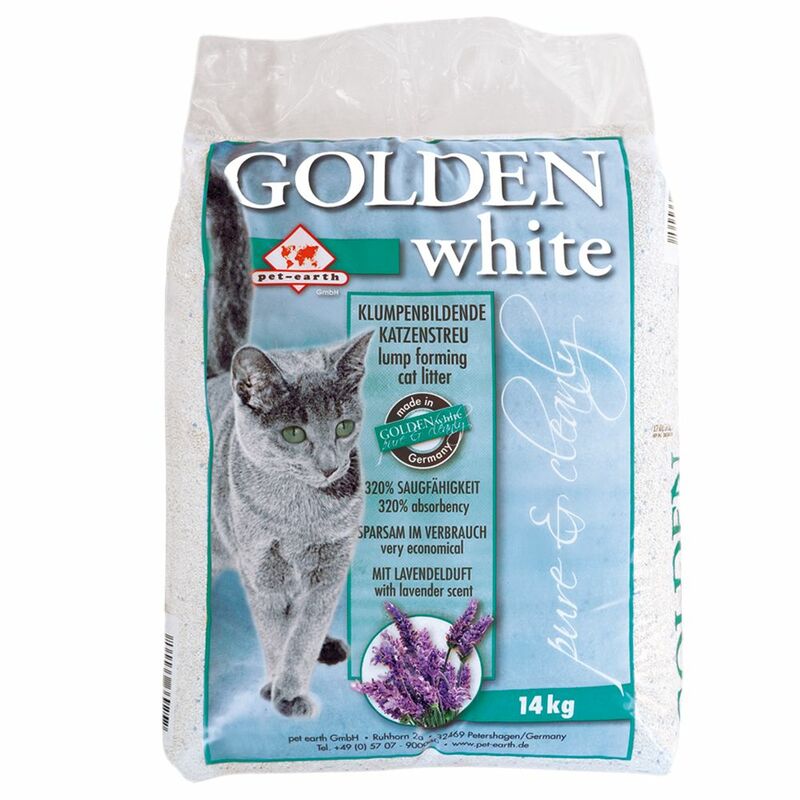 Golden White Cat Litter is a completely natural cat litter made of white clay. The benefits of Golden White at a glance: Betonite With blue hygiene granules for even better odour control With subtle lavender scent Fine clumping litter 320% absorbency Economical – can be used for up to 8 weeks without having to change litter completely The clay used to produce Golden White Cat Litter is a completely natural product, making it absolutely safe for your cat. The fine granules are particularly soft on your cat's paws. The superior absorbency (320%) and blue hygiene granules help to prevent unpleasant odours by locking in moisture. When the litter is disturbed, it releases a pleasant lavender scent. Golden White Cat Litter is especially economical, and can be used for up to 8 weeks without completely changing your cat's litter. When cleaning daily, you can simply remove the clumps and dispose of them in your household rubbish. This means 14kg of Golden White Cat Litter are the equivalent of approx. 42kg conventional litter. Price just £11.49! Click here to buy now!